The ruins of the abbey stand on the banks of the river Aulne, in a magnificent setting. The abbey was founded by St Guénolé at the end of the 5th Century. It was burnt down by the Vikings in 913. Many times rebuilt, the abbey disappears after the French revolution before its rebirth in 1950 near its original site. The museum displays artefacts discovered during archaeological excavations. 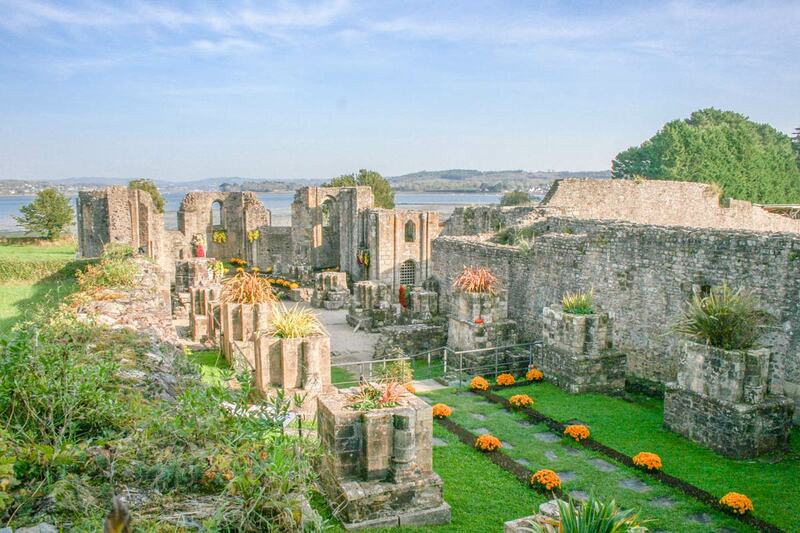 It traces the eventful past of this abbey steeped in Briton History for more than 15 centuries. Scale models represent the different construction phases from the 6th to the 17th century. 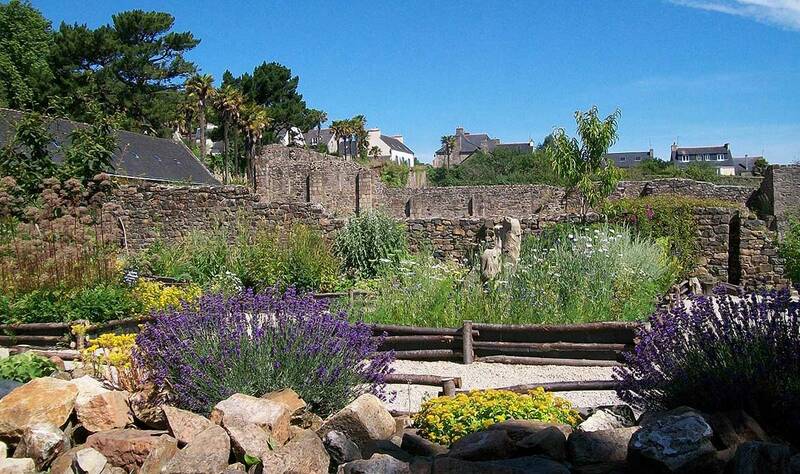 The medieval physic garden is inspired by archaeological discoveries and by mediaeval texts. It is modelled on a monastic garden from c. 900 AD. The virtues of these forgotten plants are drawing attention once again nowadays in cuisine and in “Granny’s” herbal teas. Morvan, Nominoe, Salomon… such are the names we associate with Breton royalty, most often perceived as a myth. Who knew that Brittany was first a kingdom before it was a duchy? What can be said of it today? What relationships did Brittany have with the empire of the descendants of Charlemagne? What do we know about the Bretons of this period? Unveiled for the very first time, the regional archaeological discoveries of the past 30 years bring to light a period of cultural production and exchanges, far from the image long conveyed by historians of a region closed in on itself. From 4th March to 14th April: Open Sunday to Friday from 2 pm to 5 pm. Closed on Saturdays. From 15th April to 30th June: Open Monday to Friday from 10:30 am to 6 pm. Open on Saturdays and Sundays from 10:30 am to 1 .m and from 2 pm to 6 pm. From 1st July to 16th September: Open every day from 10:30 am to 7 pm. From 17th September to 4th November : Open Monday to Friday from 10:30 am to 6 pm. Open on Saturdays and Sundays from 10:30 am to 1 pm and from 2 pm to 6 pm. Last admission: 30 min before closing time. Groups of more than 10 persons are admitted throughout the year on appointment. Free admission : children under 8, person accompanying a disabled visitor, holders of a valid ICOM/ICOMOS card.